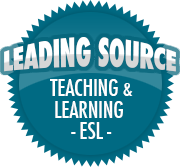 Volunteering | So, You Think You Can Teach ESL? Today we finished our second day of volunteering with the middle and high school students. These past two days we split up the students into groups and had them do different service projects. Some groups helped clean a church kitchen and serve food to people; other groups put labels on coin jars; and the rest helped clean around clothing shops. My group was one of the ones that cleaned in a clothing shop. It was a thrift shop owned and operated by a church (there were several shops with the same name, so it was a chain). The students who were with me cleaned the floor, windows and put tags on new clothing items. The teachers helped out, too, and I steam-cleaned a few shirts. The students had positive experiences overall, and seemed to enjoy the work. Tomorrow they will do some wrap-up discussion and write about how they felt.